The Asian American Arts Centre is proud to announce that the completed book "Uncle Ng Comes to America", co-edited by Bell Yung and Eleanor Yung, is now available on Amazon.com. This multimedia publication on the narrative songs from southern China brings together audio recordings, documentary video, song texts and their English translation, and introductory essays. The songs, recorded in the early 1990s in New York City by the Asian American Arts Centre, were sung by Ng Sheung Chi, or Uncle Ng, of Toisan County (Taishan in Mandarin) in the Pearl River Delta. 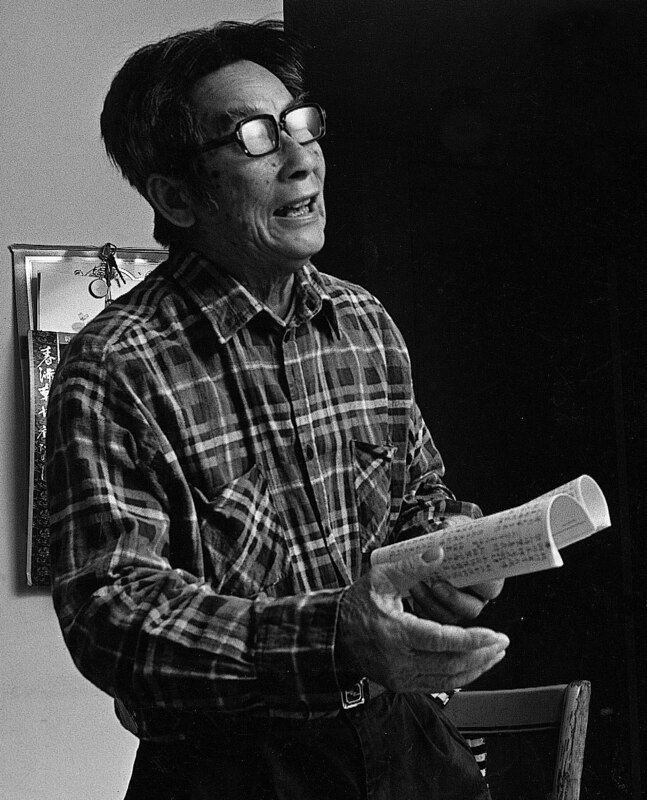 A farmer all his life but also a superb singer of a type of narrative folksong called muk’yu (“wooden fish”), Ng immigrated to New York in 1979 at the age of 69, and continued to sing his beloved muk'yu songs, on Chinatown street corners, in neighborhood parks, and in community centers. 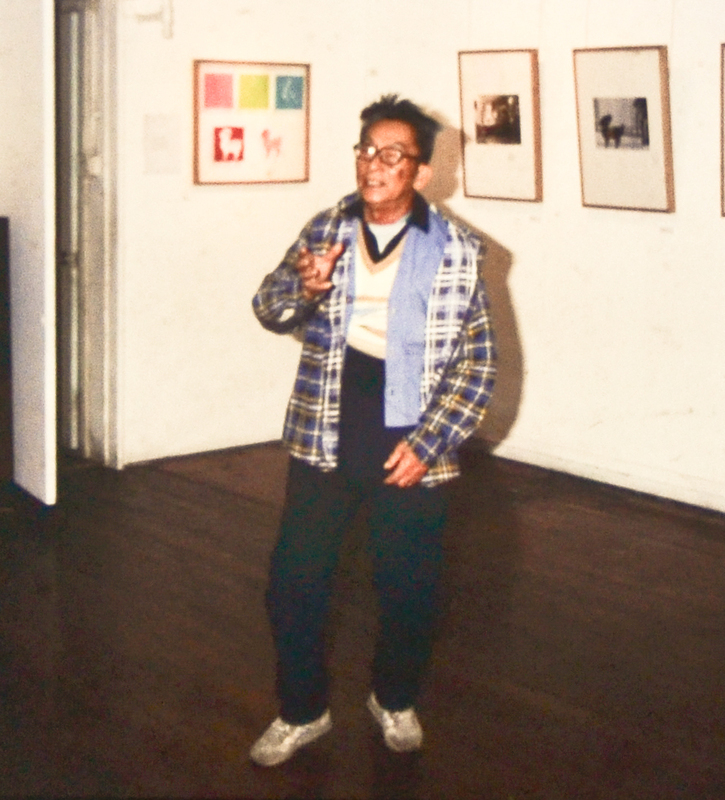 The original recordings and the video documentary, part of the Asian American Arts Centre's work to collect, document, and exhibit community arts, were meant to preserve Uncle Ng's artistry and captures precious moments of his singing and ruminations about life and music. 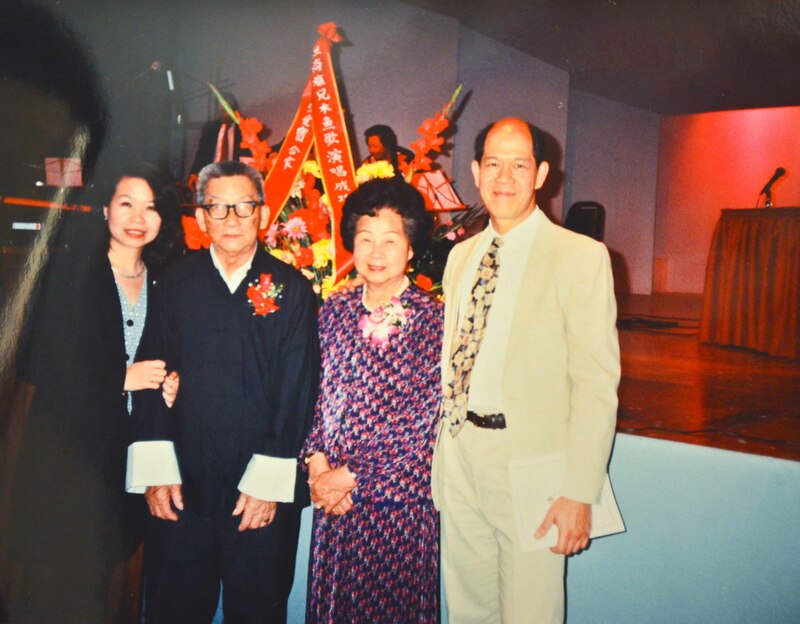 As a result of the AAAC's video documentary featuring Uncle Ng in 1992, Uncle Ng became the first Chinese American to receive a National Heritage Fellowship. Today this current publication is a testimony to Uncle Ng not only as a singer of unheralded folk music in its pristine form, but also of the Asian American Arts Centre’s tenacity to its local cultural goals. "Uncle Ng Comes to Gold Mountain"
"Nephew's Letter from the Gold Mountain"
"The Story of Gold Mountain"
"Award Acceptance Song, Washington D.C."
Three informative articles complete this CD package. Excerpt passages can be seen below. When I first met Mr. Ng Sheung Chi, he was singing in the community park for his own enjoyment as much as for anyone who was listening. He sang a form of folk song that I had never heard before. Some songs were zesty; others were gentle, even tender. Clearly he loved to sing, and he certainly wasn't bashful. He walked back and forth as he gestured, emphasizing his lines with his hands. A thin man with a ready smile, he dressed in many layers, as common seniors do. As I got to know him and the world he opened for me, I learned that his kind, humorous and heartwarming manner, and the joy he took in life were prized facets of rural village culture. 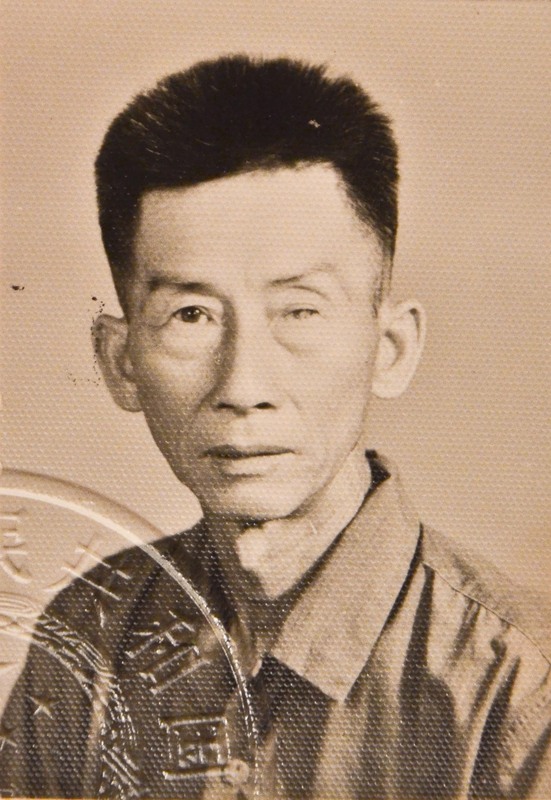 Uncle Ng was born in 1910 in Gum Foon, a small village in Tai San County, which was one of the major emigration areas to the United States for more than 150 years. Before Uncle Ng immigrated to the U.S. in 1979, he spent most of his years working in the fields as a farmer. He learned to sing what is called Muk-yu songs when he was only seven or eight years old by listening and imitating other villagers. "I sang whatever came to my mind at the moment." Tai San Muk-yu (wooden fish) is one genre of narrative songs popular among rural folks for more than three hundred years. Later he copied by hand, texts of Muk-yu to enlarge his repertory. 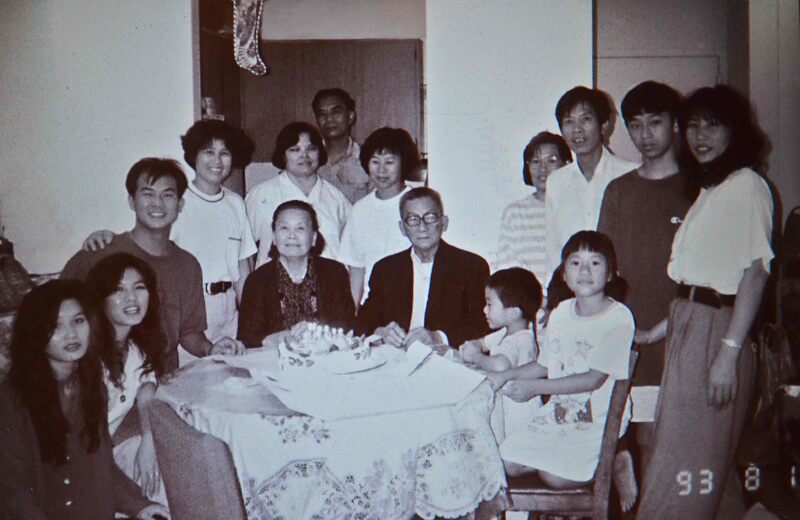 At the age of eighteen, Uncle Ng was a well-known Muk-yu singer among his fellow villagers. "When I sang, even the birds would fly down to listen to my singing." The rhythms and texts of Muk-yu songs are intimately descriptive of Tai San people's experiences and sensibility. Chinese Americans from this area can recall as they listen to songs both delicate and strong, an era of calm enjoyments and pleasing pastimes. The sorrows they experienced also find expression, as in "Embroidery Song" for an example. Uncle Ng's Muk-yu singing reflects a part of the American historical experience and the meaning of being Chinese in America. 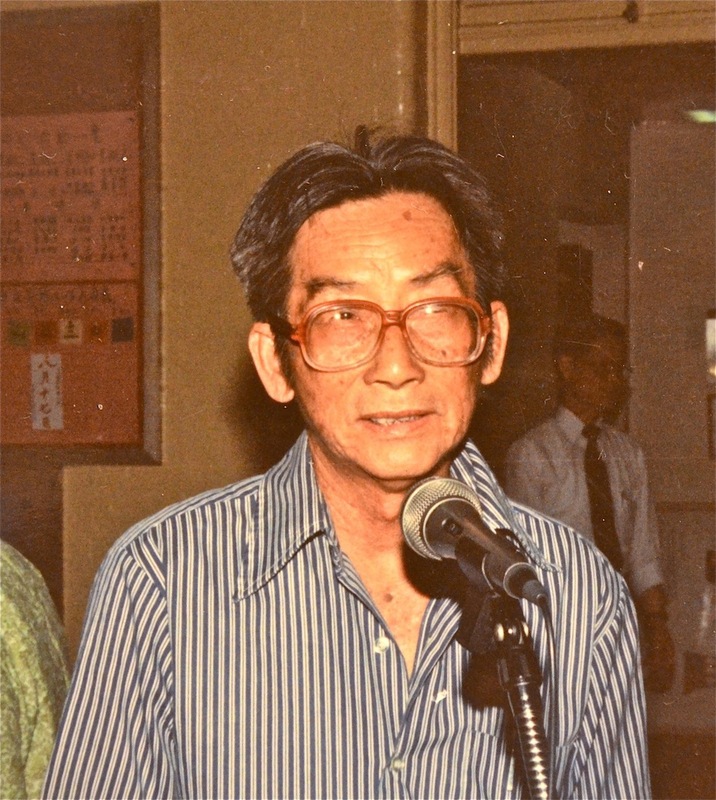 The Arts Centre produced a video documentary on Uncle Ng in 1990 entitled, "Singing to Remember" which traveled to many video festivals. 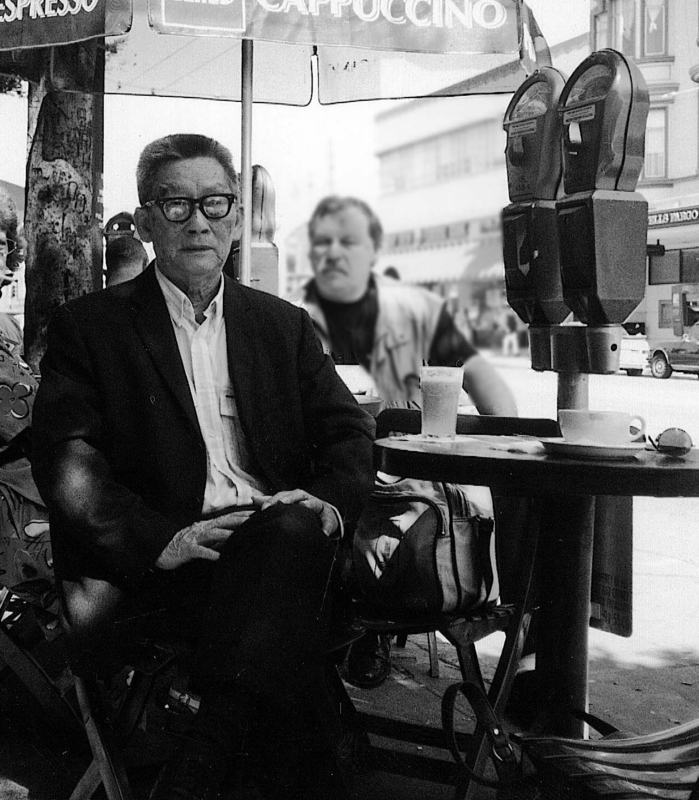 In 1992 he was named a recipient of the prestigious National Heritage Fellowship, and became the first Chinese American to receive such an award. Uncle Ng, along with twelve other master practitioners of a traditional art or craft, was recognized for making "valuable artistic contributions both to their local communities and the country as a whole. They give vivid testimony to the creative genius of the many peoples who compose our nation." During a US Congressional reception, he met then President Bush and later at a gala public performance of about 700 Washington bureaucrats, in response to a love song and his "Award Acceptance Song," he received remarkable enthusiasm and what can only be considered a standing ovation. At 82 years of age he was still a performer who could capture his audience with his simplicity, directness and charm. A large and important catagory of (Chinese) music is called quyi, literally "song-art," which is also referred to as shuochang, literally "speaking-singing." Often translated in English as Narrative Songs, the quyi consists of songs which tell stories in poetic verse, often half-sung and half-spoken in performance, and for centuries served two major social functions: as popular entertainment in the pre-technological age and as a form of mass education. Until this century, the vast majority of the Chinese people were illiterate or semi-literate; quyi offers them a view of the wider world, and plays a major role in giving the Chinese people a shared sense of history, myths, and mores to forge a cultural identity. 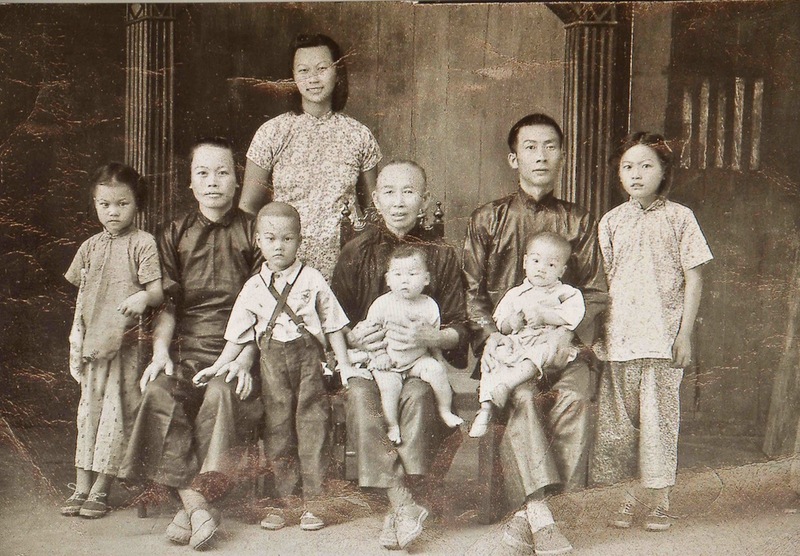 For the early Chinese immigrants who came to America to open up and develop a new nation, life was more than rough. It was downright brutal. Many of them emigrated out of poverty. They had been farmers, but the land could no longer feed them or their families. Some bound themselves into eight years of indentured servitude simply to gain passage to America. The trip from southern China to California by boat was no bargain either. They were herded into the ship's hold like cattle with little air or light, and then thrown and tossed about when waves rocked the vessels. Finally reaching land, they would come ashore, only to be locked up in prison-like detention centers, such as Angel Island, where they were interrogated until immigration inspectors determined whether they would be admitted. 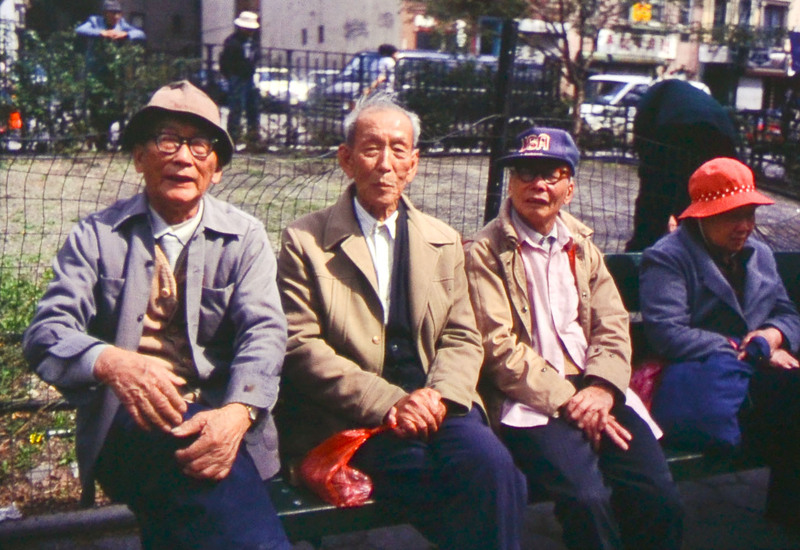 At that time, the Chinese population was almost all male, a so-called bachelor's society. This meant no feminine companionship, no warmth of family, no children to ease the burden of a day's hard work... The Page Act of 1875, decreed that any woman with American citizenship would lose that citizenship if she married an alien. This deterred American women from marrying anyone Chinese,... Is it any wonder that those men who were literate composed verses that mirrored their experiences, pouring out their souls?! Some of the lines were carved on the walls of Angel Island, and others were set to song following the muk'yu pattern of syllables and rhyme.